Former Super Eagles striker Benedict Akwuegbu has joined Heartland as assistant general manager. Akwuegbu’s appointment was conveyed in a letter dated April 18 signed by the Imo State sports commissioner Kenneth Emelu. The former international will therefore assist general manager Fan Ndubuoke and he is expected to bring his vast wealth of experience garnered from playing in France, Belgium, China, Germany and Austria. 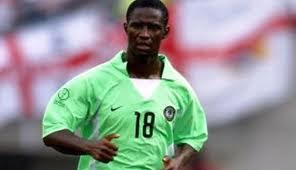 He featured for Nigeria at the 2002 World Cup and was part of the Eagles squad who were beaten in the final of the 2000 Africa Cup of Nations by Cameroon.